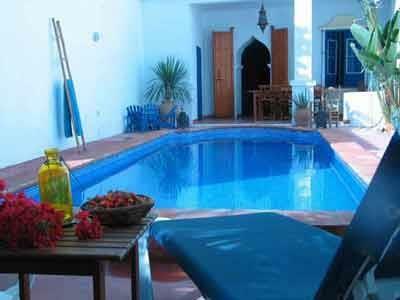 Private rental accommodation in a beautiful house with private heated pool, 6 bedrooms. Low Season (from September to June): Rooms can be rented by day, weekend or week. For y. We had a fantastic stay in in Velez Malaga. The house was amazing and the owners so nice. We can higely recommend this place. Just come back from my hen do staying at the villa. The owners were friendly, polite and helpful. Juana doesn't speak any English however this wasn't too much of an issue for us as a member of our group spoke Spanish. They were also accommodating, allowing us to arrive around midnight. The only thing that wasn't explicitly explained before is that Oliver and Juana sctually live on the top floor of the property. They didn't seem to mind us making noise or rolling in around 5/6am. In fact, we barely saw them. Villa is ideally situated. Large supermarket a few minutes away on foot, a tapas bar a few doors down, plenty of coffee shop, patiseries, restaurants and bars within walking distance and very friendly taxi drivers at the taxi rank if you wish to venture further afield. I would definitely recommend this villa and look to book again. I booked the accomodation as my daughter was getting married and it was close to the wedding venue. When we arrived we were met by the owners Olivier & Juana who are really nice people and they made us so welcome, If you wish to enjoy the authentic Spanish style of life then this is the place to stay. You won't be disappointed.